Leaked tape: Adeyemi wants Melaye, Judge probed – Royal Times of Nigeria. 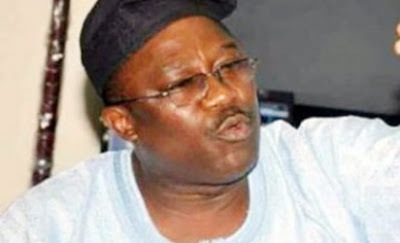 The immediate past senator, who represented Kogi West Senatorial District, Smart Adeyemi, has asked the National Judicial Council, NJC, and Department of State Service, DSS, to probe the judgment of Kogi State Election Tribunal, which dismissed his petition, and declared Dino Melaye as duly elected senator for the district. Speaking with journalists, on Sunday, in Abuja, while reacting to a leaked telephone conversation alleged to have involved Senator Melaye and the chairperson of the tribunal, Justice Akon Ikpeme, Adeyemi called on all anti-graft agencies to wade into the matter. He said: “I, hereby, call for a thorough investigation by the appropriate authorities, that is, the Chief Justice of the Federation, Minister of Justice and Attorney-General of the Federation, National Judicial Council, NJC; Economic and Financial Crimes Commission, EFCC; Independent Corrupt Practices and other Related Offences Commission, ICPC, and Department of State Service, DSS. “If my brother Dino denies the audio clip, let him look at the mirror before him, the person will appear. For two years I kept praying to God to make a show of shame of all conspirators against me at the tribunal. By the power of God, more revelations would still come”.